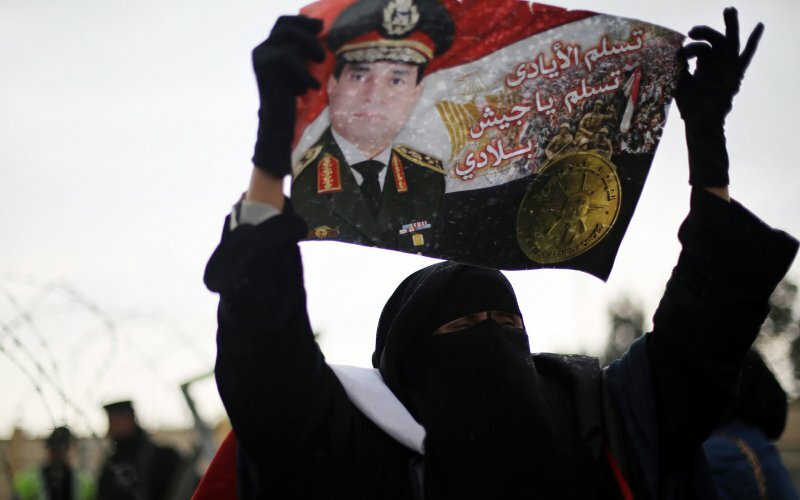 Egypt’s Supreme Elections Committee (SEC) has announced that women wearing the niqab (full veil that covers the face) will not be allowed to cast their ballots unless they remove their veil while voting. The move, declared as a ‘war on the niqab’ by the private Egyptian newspaper Youm7, is implemented for identity verification purposes said Omar Marwan, spokesperson for the SEC. Marwan, in statements to the media on Thursday, said women who refuse to reveal their identities would be barred from voting. To ensure their rights to wear the niqab are protected, Marwan added that there will be a female elections official at each polling station to privately check the identities of those who wear the niqab. After a woman’s identity is verified by the elections official, the niqab-wearing woman will be allowed to cast her ballot. The niqab, which is not as commonly worn in Egypt as the hijab, consists of fabric that covers a woman’s head and a cloth that covers her face but leaves the eyes visible. The niqab restrictions come after Cairo University banned women from wearing the niqab while teaching and lecturing at the university. Doctor Gaber Nassar, the President of Cairo University, said the decision was made to improve communication between students and their teachers. Egypt’s parliamentary elections are set to take place on October 17-18 for Egyptian expatriates and October 18-19 for those living in Egypt. The second phase of the elections is scheduled for November 21.